I have beaten back the hoards of zombies! I hope you guys don’t need therapy with all my broken promises? That could get expensive on my bloggers salary of oh, about $2 a day. 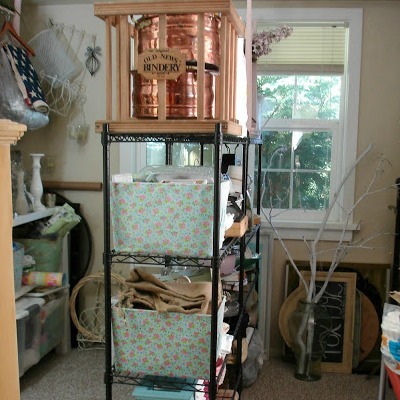 With my once again out of control home decor and craft storage room. I still don’t have all matching totes. And yes, it still irritates me. 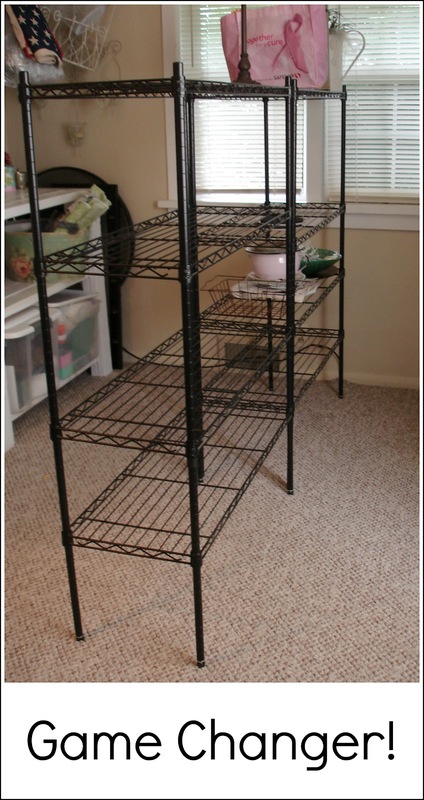 I think If I add bins to the 2 black shelving units I can get even better storage from them. They have some fun treasure on them I’ve found out thrifting that I have yet to share! I made sure to leave a spot for extra rugs. I didn’t do that last time and those suckers were in the way from the very get go! I stacked the totes on the right, floor to ceiling by putting the super light ones towards the top. 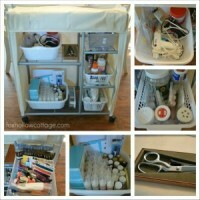 My tea cart full of craft supplies will easily pull out to the living room when I need it. It’s parked in the perfect spot. Yes I have 3 brand new lamps. Maybe you’ll see those on facebook soon? I was going to re work this armoire into more detailed craft storage with bins for all the tiny stuff but that can wait for another day. 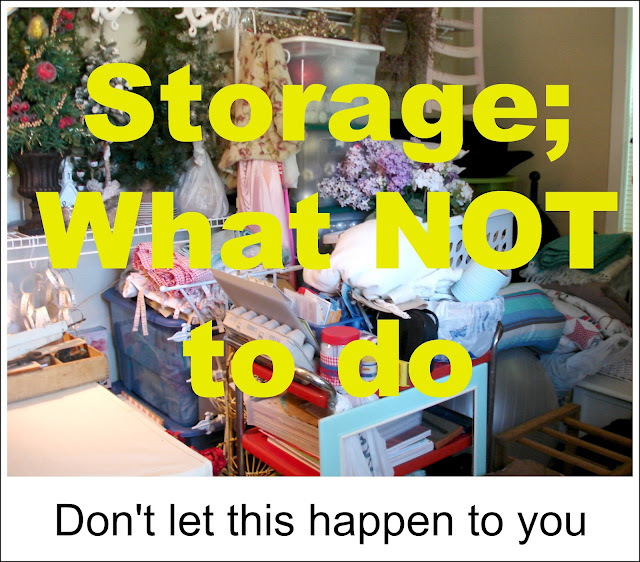 Finding ample storage room is often a really tough challenge. No wonder so many people find it helpful to use the services of keepsafe storage.For now, it hold my sewing machine and scrap booking/card making supplies. 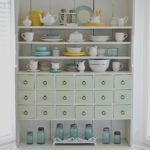 I used wooden hangers to put my plate racks back behind the chairs and fill in that void. Another wood hanger was used to store a few lightweight items from the back side of the chair rungs. Adding a huge, long nail to hang bulky iron stuff right on the wall filled in another unused space. being able to get to everything. There are still a few tweaks I can make. It’s definitely a work in progress. This room is all about function. It’s not cute or fancy. as much out of as I can. Maybe one day when I have oodles of extra time (and money) I’ll make it all cute & coordinated. but… today is not that day. I was sort of accountable to someone. Now I’m feeling like a craft and DIY blog “fail” … I don’t have nearly that much stuff to re-craft and re-work. Who knew I needed all those extra lamps? And the rugs? I don’t have extra rugs! It looks great! 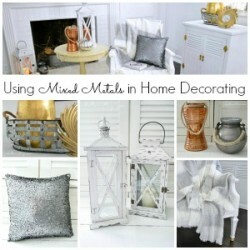 I wish I could come “shop” in your house!!! You go girl!! Nice and tidy and organized. 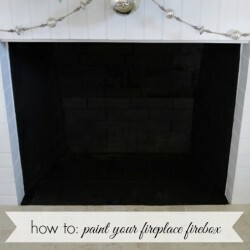 Your before pictures look better than my now in my craft room. Mine needs LOTS of organizing, I just keep putting it off. I would say that you’ve given me the get-up-and-go that I need but I would be lying. (grin) Yeah for you though on getting yours done! You did it! I know it took alot of time & energy, but you should be proud. 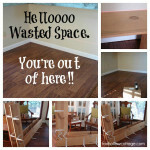 Wish I had a room to store “my stuff” mine is my basement, my husband always ask me to weed it out but I don’t:) Never! 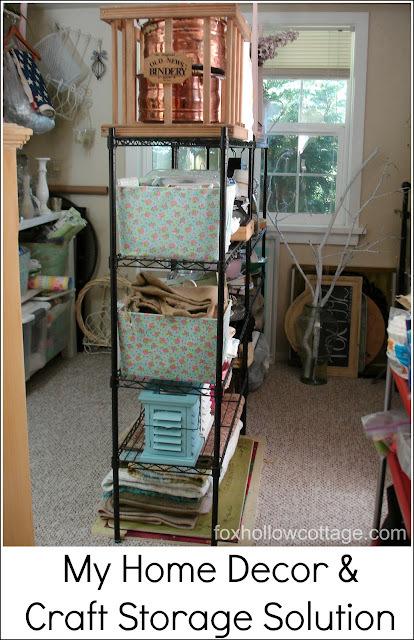 That was a big undertaking and it is SO nice and organized now – and SUCH fun stuff you have!! Wow! Now that’s some great storage you’ve got going on! It’s so hard sometimes to see all the stuff we have and then decide how to neaten it up! At least you’ve got a great place to store it. Now get in the car and go buy you a chocolate milk shake! You deserve it after all of your organizing. 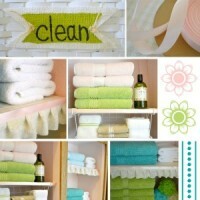 Looks great AND so organized!! 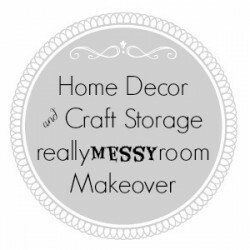 i was hearing the rocky theme song the whole time i read this… duh duh duuuuh, duh duh duuuuh…..
Home Decor and Craft Storage - Real life, everyday solutions to storing craft supplies and home decor.